LAW FIRM – HAMILTON ESTATES LAWYER Ross & McBride LLP is Hamilton’s largest law firm with a rich history of commitment to our clients and our community. We are a law firm with a purpose; a firm with aspirations to practice positive law by engaging in ethical leadership and by optimizing value for our clients, respect for our lawyers and employees, and advancing community and social betterment. VALUE & PROFILE: The Estates Practice Group at Ross & McBride LLP provides a wide range of services in estate planning, administration and litigation. The Group takes great pride in giving our clients concise, effective and timely advice to protect their legacy. SCOPE AND RESPONSIBILITIES: We are seeking a lawyer with a minimum of 5 + years of experience to join our Estates Law group WITH exposure to: Estate Planning: Preparation of estate plans, including wills of varying complexity Business succession planning including corporate reorganizations, estate freezes, asset and share sales as well as shareholder agreements. Development of probate free and tax avoidance strategies Creation of charitable trusts and foundations, family trust, insurance trusts and gifting programs Creation of special needs to protect the elderly and disabled Development of special trusts like spousal and cottage trusts Creation of Powers of Attorney Preparation of international estate plans, and Estate Administration: Conduct probate proceedings Prepare estate accounts Advise executors, trustees and beneficiaries Skills & Qualifications Required: MINIMUM 5 + years of experience in the areas of Wills and Estates law License in good standing with the Law Society of Ontario. Highly organized, keen attention for detail and interest in working in an energetic environment. Solid drafting, research and writing skills. We are offering: Remuneration commensurate with experience Bonus potential Group Benefits Package Heath and Wellness Membership Opportunities for professional development and growth A collegial and dynamic work environment which values work/life balance Please submit the following in confidence to Mr. Tim Parker, General Manager, via email only: 1. Cover letter (1 page) 2. C.V. (no more than 2 pages) Our Firm’s success is built on the unique skills, perspectives, experiences and values of each individual. We encourage a corporate culture that respects and celebrates the dignity, value and diversity of all. The Firm is committed to fair and accessible employment practices and has created policies and procedures to meet the requirements under the Accessibility of Ontarian’s with Disabilities Act, 2005. If you require accommodation in the application/interview process, please advise Mr. Parker by contacting him, directly. Scarfone Hawkins LLP is seeking a talented Law Clerk/Legal Assistant to work in the practice area of Family Law. The Civil Litigation team has quality and diverse files that provide challenging, fast-paced and interesting work in a dynamic, collegial team environment. We pride ourselves on excellence in everything we do, every day. If this matches what you are looking for, come join our team! Responsibilities: Preparing, assembling and organizing legal drafts including, but not limited to, pleadings, discovery and affidavits of documents Preparing trial briefs, exhibits and motions as required Maintaining document files and case correspondence both physically and electronically Organizing and maintaining calendar for key dates and meetings Conducting searches as required Transcribing digital dictation Provide back-up coverage to the group during absences, and assist with overflow work, when required Other administrative duties as required Requirements: Completion of a post-secondary Legal Assistant or Law Clerk course Minimum of two (2) years civil litigation experience Good understanding of the statutes of Family Law rules and court filing procedures Good understanding of legal reference materials, procedures, and legal filing systems. Experienced and knowledgeable in MS Word, Divorcemate and Outlook Excellent oral and writing skills, including proper spelling, grammar, and punctuation for complex documentation Excellent administrative and organizational skills Professional, responsive, and positive work attitude is critical Confident, dependable team player What's in it for you: Convenient location in the heart of Hamilton’s downtown core, close to restaurants, shops and transportation Opportunity to further develop your skills in this hybrid role Competitive salary commensurate with experience Comprehensive benefits package Fantastic office culture with many fun events (and donuts every Friday!) Scarfone Hawkins LLP is committed to diversity, inclusion and accessibility for all persons. We encourages applications from all qualified individuals and will accommodate applicants’ needs throughout all stages of the recruitment and selection process. While we appreciate all applications, only those candidates selected for an interview will be contacted. Functional Area: LG - Legal, Regulatory & Gov't Affairs Estimated Travel Percentage (%): No Travel Relocation Provided: No Fortitude Group Services, Inc Paralegal & Corporate Administrator - Fortitude Reinsurance Company Ltd. This role is responsible for providing paralegal and corporate administrative support to Fortitude Re’s legal and compliance team. This position will be a direct report to the General Counsel of Fortitude Reinsurance Company Ltd. (“Fortitude Re”) and will be based in Hamilton, Bermuda. RESPONSIBILITIES Assists attorneys in preparation of legal documents (contracts, correspondence, board books, etc.). Investigates and assists in responding to regulatory inquiries, exams, administrative audits/reviews. Prepares legal reporting such as quarterly legal expense reports, holding company reports, matter list reports and status reports. Assists in preparing and assembles presentations and materials in support of various company activities including management, board and regulatory meetings. Assists in conducting legal and regulatory due diligence. Assists with legal entity incorporations. Support statutory and regulatory compliance and supporting corporate transactions and board and committee processes including: Convene and hold, as required, all meetings of the Board of Directors/Committees, and shareholders; attend such meetings and provide advice on corporate secretarial matters as necessary; record and draft minutes of such meetings and draft written resolutions when required. Act as Secretary or Assistant Secretary to the company as required. Maintain in a timely manner corporate records according to the requirements set out by the Bermuda Companies Act 1981, Insurance Act 1978 and any related or relevant legislation, rules or acts. Assist with amendments to the constitutional documents of each company as required, e.g., increases and reductions of share capital, company name changes, amendments to the Bye‑Laws and/or the Memorandum of Association/Incorporating Act; Collate Board and Committee materials through meeting binders or portal. Assist with the opening of bank accounts and the execution of bank-related documentation. Make applications to and file statutory documents with Bermuda regulatory authorities as may be necessary. Ensure that annual company, business, filing and license fees are paid to regulatory authorities on a timely basis in accordance with the relevant legislation. Maintain the Register of Members, Register of Directors and Officers and Minute book for each company. Develop technical knowledge and practical capabilities through participation in internal training events and webinars. QUALIFICATIONS Strong organizational skills, be attentive to detail, be able to work with minimal supervision (after appropriate training), as well as be able to work well as part of a team. Experience in corporate law department or law firm and/or paralegal certificate is a plus. Minimum 5 years corporate legal experience working in a corporate secretarial or corporate administrative role and/or certification in Corporate Secretarial Practice, or a relevant certificate from the Institute of Chartered Secretaries and Administrators. Working knowledge of the Bermuda Companies Act 1981 and Insurance Act 1978 and statutory regulations relating to the administration of re/insurance and holding companies in Bermuda. Ability to meet tight deadlines with minimum supervision. Proficiency in Microsoft Office applications e.g. Word, Power Point, Excel and Outlook. Strong organizational, time management and decision making skills. Excellent verbal and written communication skills. Willingness and ability to work outside normal office hours when required. It has been and will continue to be the policy of American International Group, Inc., its subsidiaries and affiliates to be an Equal Opportunity Employer. We provide equal opportunity to all qualified individuals regardless of race, color, religion, age, gender, gender expression, national origin, veteran status, disability or any other legally protected categories. At AIG, we believe that diversity and inclusion are critical to our future and our mission – creating a foundation for a creative workplace that leads to innovation, growth, and profitability. Through a wide variety of programs and initiatives, we invest in each employee, seeking to ensure that our people are not only respected as individuals, but also truly valued for their unique perspectives. 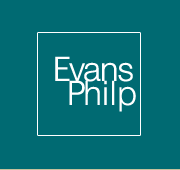 Evans, Philp LLP is a midsize law firm located in Hamilton, Ontario. For 100 years Evans, Philp has delivered quality general and specialized legal services to the insurance industry. We are looking to add to our highly skilled team, and are seeking an Intermediate Associate with experience in Tort. We offer challenging legal work, experienced staff and a collegial firm culture. Qualified candidates are invited to forward their cover letter and CV. Only qualified candidates under consideration will be contacted. ABOUT GOWLING WLG At Gowling WLG, our dedication to excellence and quality service begins with our people. As a global law firm with offices across Canada, the U.K., Europe, the Middle East and Asia, we pride ourselves on sourcing and retaining top talent who bring energy, passion and commitment to the delivery of outstanding client service. When it comes to diversity, we not only accept it — we celebrate it, support it and thrive on it. To create an engaging and rewarding place to work, we seek to attract talented people from a diverse range of backgrounds and cultures. Our aim is to help everyone reach their full potential and achieve their personal and professional goals. Employee satisfaction is important to us. We work hard to ensure that our people are motivated, engaged and empowered. Our diverse group of legal professionals, law students, law clerks/paralegals, legal administrative assistants and business support staff work together as a team, and are respected and valued for their individual contributions. PROFILE We are currently seeking an energetic, detail-oriented, self-starter to join our fast paced team. As a member of the Recovery Services team, the incumbent will primarily support professionals in Business Law, area of Bankruptcy. RESPONSIBILITIES Organize and expedite the flow of work through the Professional’s office, initiating follow-up action. Prepare: (a) legal documents with directions according to general precedents or instructions from Professional (b) letters, memos, etc. of a confidential nature, which may be drafted independently for review by supervisor or may be prepared from dictation or hard copy; Liaise between the Professional’s various internal and external individuals, groups, and clients at all levels. Manage the bring-forward or diary system/database to ensure important dates/deadlines are met. Prepare special reports, which may include gathering and summarizing data. Exercise initiative and judgment to relieve Professional of administrative detail. Create, monitor and maintain client files for better file management and client service. Coordinate administrative tasks e.g. : accounting; opening and closing files; docketing; billing; etc. Assist with bankruptcy opposition and other consumer bankruptcy proceedings commenced pursuant to the Bankruptcy and Insolvency Act (BIA). Evaluate files to review case facts, determine appropriate processes and plans required for the conduct of the file, ensuring that critical deadlines are identified and met. Draft a variety of documentation, from research, precedents and/or directions, including pleadings, forms, contracts, agreements, and correspondence to meet the needs of the various steps required throughout the conduct of the file, in accordance with legislation and/or governing regulations. Ensure that each action on the file conforms to the requirements of the Bankruptcy and Civil Courts and/or Governing Tribunals or other Government Department. Systematically organize, track and maintain document files and case correspondence, using, where appropriate, computer databases and imaging software. Assists the professional in preparation for formal stages of the process, such as Examinations, Court Proceedings, etc. Liaise with client to obtain and, when directed by the professional, provide information. Communicate directly with service providers and judicial/tribunal officials in connection with the client’s file. QUALIFICATIONS Ability to communicate effectively with other Firm members, with the aptitude to take care of clients’ needs in a professional and courteous manner Ability to use discretion when dealing with confidential information Capacity to work independently, as well as in a team environment Produce a high quality and quantity of work product, occasionally under tight timelines Able to prioritize and to redefine priorities when necessary Handle stress in a business-like manner The ability to analyze legal documents for accuracy Knowledge about current relevant legislation and government regulations Knowledge of Microsoft Office Suite Bilingualism (French/English) may be required in some offices Gowling WLG is proud to offer equal employment opportunities. If you have a disability or special need that requires accommodation at any time during the recruitment process, please let us know. NUMBER OF VACANCIES: 1 Full-Time Regular UNION/NON-UNION: Non Union Mgmt Professional HOURS Of WORK: 35.00 per week GRADE: 10B SALARY/HOUR: $74.611 - $87.265 per hour ANNUAL SALARY: $135,792.02 -$158,822.30 *Note: See appropriate Collective Agreement or the Non Union Salary Range for details. STATUS/LENGTH: Permanent Full Time Job Description ID #: 5350 JOB SUMMARY: Reporting to the City Solicitor, provide leadership to lawyers in the Commercial/ Development/Policy Section of the Division as well as assuming carriage of legal files. Accountable to the City Solicitor for ensuring the Legal Services Program is provided in accordance with City and Provincial guidelines and in the most effective and efficient manner consistent with the City of Hamilton Strategic Plan. QUALIFICATIONS & REQUIREMENTS: A University degree in Law (L.L.B.) Member in good standing with the Law Society of Ontario with progressively responsible management experience in a municipal environment with emphasis on municipal governance, law and policy, land use planning and development, commercial contract, procurement, regulatory, administrative and real estate law. Possess a high level of professionalism and integrity, and excellent communication skills. Highly developed analytical and business planning skills with a proven track record for long-term visioning and big picture thinking. Experienced in designing and delivering customer focused programs and services; and using a "best practices" approach in developing and delivering quality services in a timely and cost effective manner. Highly developed ability to articulate a vision, to lead and inspire others. Highly effective leadership, facilitation, communication, presentation, interpersonal and organizational skills. Highly developed ability to develop work plans and service level agreements; and to design and implement strategies which improve effectiveness and efficiency. Demonstrated experience monitoring, evaluating and reporting on the provision of legal services, and staff performance against internal and external benchmarks. Proven ability in conducting performance appraisals, delegating and empowering staff and identifying opportunities for staff development. Thorough knowledge and understanding of key statutes, regulations and by-laws affecting the Division and municipality. Demonstrated knowledge of the Health and Safety Act and applicable regulations as it relates to the position. Must have computer skills in a Windows environment utilizing MS Office software. Disclaimer: Be advised that Human Resources frequently audits resumes of internal/external applicants to ensure/validate information provided is consistent and trustworthy. Falsification of information provided at any time throughout the recruitment process may be grounds for disqualification, and for internal applicants, subject to discipline up to and including termination. Terms: The City is an equal opportunity employer that is committed to inclusive, barrier-free recruitment and selection processes. Consistent with our Values and Corporate Culture Pillars, the City of Hamilton is committed to providing equitable treatment to all with respect to barrier-free employment and accommodation without discrimination. The City will provide accommodation for applicants in all aspects of the hiring process, up to the point of undue hardship. If you have an accommodation need, please contact Human Resources as soon as possible to make appropriate arrangements. We invite you to visit the departmental webpage to obtain further information on the culture and business of this department. The incumbent shall comply with all Health and Safety Policies and Practices for this position and the workplace. It is the responsibility of the applicants to ensure that their application reaches Human Resources by the closing date or they may not be considered. It is also the responsibility of applicants to supply qualifications, licences and related experience relevant to the qualifications outlined above for this competition as directed. On the basis of the criteria set out above, this posting is open to all applicants The statements made by me are true, complete and correct to the best of my knowledge. I understand that any falsification of statements, misrepresentations, deliberate omission or concealment of information may be considered just cause for discipline, up to and including termination for internal applicants and disqualification for external applicants. Legal Administrative Assistant Job Description Reports To General Manager Summary The Legal Administrative Assistant is responsible for a wide variety of legal and administrative duties within the Practice Group Operation, under the guidance of the Law Clerk and reporting on a day-to-day basis to the lawyer(s). This includes the preparation of legal documents and correspondence, responding to inquiries, and interacting with clients. Broad and thorough knowledge of basic legal concepts and principles is essential for this role. Practice Group Operation (PGO) Estate and Trust Law Group Profile Working within the PGO, this role will help manage the daily operation of a very busy Associate within our Wills & Estates Practice Group, along with providing administrative support and clerical duties. Core Competencies Concern for Quality Operational Efficiency Initiative Development and Continuous Improvement Team Work Client Service Orientation Interpersonal Awareness Duties and Responsibilities Review and finalize estate planning documents including Wills, Powers of Attorney, Trusts and reporting documentation Attending as a second witness for client signatures Scan, file and e-file a large volume of documentation Communicate professionally with all internal and external clients Handle administrative details with respect to accounting, opening and closing files and billing Manage a large volume of emails Calendar management including arranging meetings and follow-up with external clients Assist with Vault Coordination duties Help to organize practice group meetings and events The ability to be flexible to the changing demands of the job Qualifications or Skills Required: previous legal experience, or a genuine interest in, Wills & Estates Successful completion of a Post-Secondary education in a Legal Assistant/ Admin program Strong technical skills using MS Office A willingness to learn our specialized Wills and Trusts databases etc. Extremely organized and meticulous with follow-up and detail Ability to take initiative, ask questions, prioritize and multitask Flexible, team player that is client service oriented Strong work ethic and committed to doing a great job Please submit the following in confidence to Mr. Tim R. Parker, General Manager, by email only: 1. Cover letter (1 page) 2. C.V. (no more than 2 pages) We encourage a corporate culture that respects and celebrates the dignity, value and diversity of all. The Firm is committed to fair and accessible employment practices and has created policies and procedures to meet the requirements under the Accessibility of Ontarians with Disabilities Act, 2005. If you require accommodation in the application/interview process, please advise Mr. Parker by contacting him by email or by telephone at 905-526-9800. Where an accommodation is requested, Ross & McBride LLP will consult with the applicant and provide or arrange for suitable accommodation. Only those candidates selected for an interview will be contacted. Ross & McBride LLP is Hamilton’s largest law firm with a rich history of commitment to our clients and our community. We pride ourselves on offering a full-service menu of innovative and intelligent legal services to individuals, businesses, and institutions throughout our community and beyond. VALUE & PROFILE: The Estates Practice Group at Ross & McBride LLP provides a wide range of services in estate planning, administration and litigation. The Group takes great pride in giving our clients concise, effective and timely advice to protect their legacy. SCOPE AND RESPONSIBILITIES: We are seeking a lawyer with 1 – 5 years of experience to join our Estates Law group WITH exposure to: Estate Planning: Preparation of estate plans, including wills of varying complexity Business succession planning including corporate reorganizations, estate freezes, asset and share sales as well as shareholder agreements. Development of probate free and tax avoidance strategies Creation of charitable trusts and foundations, family trust, insurance trusts and gifting programs Creation of special needs to protect the elderly and disabled Development of special trusts like spousal and cottage trusts Creation of Powers of Attorney Preparation of international estate plans, and Estate Administration: Conduct probate proceedings Prepare estate accounts Advise executors, trustees and beneficiaries Skills & Qualifications Required: 1-5 years of experience in the areas of Wills and Estates law License in good standing with the Law Society of Ontario. Highly organized, keen attention for detail and interest in working in an energetic environment. Solid drafting, research and writing skills. We are offering: Remuneration commensurate with experience. Opportunities for professional development and growth. A collegial and dynamic work environment which values work/life balance Please submit the following in confidence to Mr. Tim Parker via email Cover letter (1 page) C.V. (no more than 2 pages) If you require accommodation in the application/interview process, please advise Mr. Parker by contacting him by telephone at 905-526-9800 . Visit us at rossmcbride.com to learn more about us and practicing law in Hamilton. Only candidates selected for an interview will be contacted. We are seeking an Associate to join our Commercial Litigation and Estate Litigation Group. The ideal candidates should have 1 - 3 years' of experience in Commercial and/or Estate Litigation and possess superior advocacy and writing skills, strong interpersonal skills, client management skills and be able to easily adapt. For more information on the firm, or what it's like practising law in Hamilton, refer to our website www.rossmcbride.com. Solicitor CorporateServices Legal Services 21 King Street West, Hamilton NUMBER OF VACANCIES: 1 Full-Time Temporary UNION/NON-UNION: Non Union Mgmt Professional HOURS Of WORK: 35.00 per week GRADE: 8B SALARY/HOUR: $58.662 - $80.090 per hour *Note: See appropriate Collective Agreement or the Non Union Salary Range for details. STATUS/LENGTH: 18 month Job Description ID #: 5377 Job Summary: Under the general direction of the City Solicitor and Deputy City Solicitor, the successful candidate will be an experienced municipal lawyer with a focus on land-use planning law and handling matters before the Ontario Municipal Board(OMB) and the proposed Local Planning Appeal Tribunal (LPAT). They will be comfortable providing advice to staff, senior management and Council. QUALIFICATIONS & REQUIREMENTS: Experience in municipal law with a focus on land-use planning law. A Bachelor of Laws degree or Juris Doctor (JD) from a recognized university. Admittance to the Bar in the Province of Ontario. Membership in good standing in the Law Society of Upper Canada. Knowledge and expertise in a defined area of law normally attained through at least two years of progressively more responsible practice in the area. Experience before the OMB and other Tribunals and ability to independently handle hearings before the OMB and the proposed LPAT. Ability to provide specialized legal services and consultation to the City Manager, senior management and staff at all levels on legal matters. Adept at providing research, analysis, counselling and advice for City Council, City Departments, Boards, Commissions and Authorities on the legal implications of matter of law, legislations, procedures and operational and strategic decisions. Effective leadership, facilitation, communication, presentation, interpersonal and organizational skills. Ability to deal effectively with elected officials, representatives from stakeholders groups, Boards and Agencies, management, peers and staff. Experience in developing and implementing proactive strategies, and in anticipating and identifying legal challenges to protect the interests of the City to reduce exposure to legal risks. Ability to use skills individually and as part of a team to achieve organizational goals and client satisfaction. Thorough knowledge and understanding of statutes, regulations and by-laws affecting the Division. Excellent interpersonal skills and ability to espress ideas effectively, orally, in writing and through formal presentations. Disclaimer: Be advised that Human Resources frequently audits resumes of internal/external applicants to ensure/validate information provided is consistent and trustworthy. Falsification of information provided at any time throughout the recruitment process may be grounds for disqualification, and for internal applicants, subject to discipline up to and including termination. Terms: The City is an equal opportunity employer that is committed to inclusive, barrier-free recruitment and selection processes. Consistent with our Values and Corporate Culture Pillars, the City of Hamilton is committed to providing equitable treatment to all with respect to barrier-free employment and accommodation without discrimination. The City will provide accommodation for applicants in all aspects of the hiring process, up to the point of undue hardship. If you have an accommodation need, please contact Human Resources as soon as possible to make appropriate arrangements. We invite you to visit the departmental webpage to obtain further information on the culture and business of this department. The incumbent shall comply with all Health and Safety Policies and Practices for this position and the workplace. It is the responsibility of the applicants to ensure that their application reaches Human Resources by the closing date or they may not be considered. It is also the responsibility of applicants to supply qualifications, licences and related experience relevant to the qualifications outlined above for this competition as directed. On the basis of the criteria set out above, this posting is open to all applicants The statements made by me are true, complete and correct to the best of my knowledge. I understand that any falsification of statements, misrepresentations, deliberate omission or concealment of information may be considered just cause for discipline, up to and including termination for internal applicants and disqualification for external applicants. JOB POSTING JOB ID #: 13686 Law Clerk Corporate Services Legal Services 21 King Street West NUMBER OF VACANCIES: 1 Full-Time Temporary UNION/NON-UNION: Non Union Mgmt Professional HOURS Of WORK: 35.00 per week GRADE: 4 SALARY/HOUR: $36.958 - $43.225 per hour *Note: See appropriate Collective Agreement or the Non Union Salary Range for details. STATUS/LENGTH: 18 months Job Description ID #: 1959 Job Summary; Reporting to the Manager, Legal Services, provides a full range of law clerk support, primarily supporting municipal lawyers on matters before the Ontario Municipal Board (OMB) and proposed Local Planning Appeal Tribunal (LPAT) and otherwise on land use planning matters. Such support will include researching and assisting with the preparation of materials for OMB/LPAT appeals. QUALIFICATIONS & REQUIREMENTS: Proven knowledge of law clerk practices, procedures and theories normally acquired by attaining a diploma in a Law Clerk program from a Community College or attaining certification/membership in Institute of Law Clerks of Ontario or an equivalent combination of education and work related experience. Progressive experience, preferably in a Municipal Legal Department or other in-house legal department or private law firm. Demonstrated knowledge in the area of municipal law and planning law and assisting with OMB matters. Experience with Terranet registrations would be an asset. The Law Clerk will have knowledge of municipal and planning matters to prepare drafts of correspondence, materials for OMB/LPAT proceedings, including document books, exhibits, witness statements and motion materials. Good interpersonal skills to interact with a variety of individuals. Experience in a computerized environment and able to conduct on-line legal research. Working knowledge of Microsoft Office software (i.e. Outlook, Word and Excel), OnCorp and Teraview. Strong time management, multi-tasking and organizational skills. Ability to self- manage and work independently, set priorities and meet tight deadlines and possess the initiative and have the ability to carry out instruction without detailed direction. Selection Process: This competition will include an interview and assessment as part of the selection process . Disclaimer: Be advised that Human Resources frequently audits resumes of internal/external applicants to ensure/validate information provided is consistent and trustworthy. Falsification of information provided at any time throughout the recruitment process may be grounds for disqualification, and for internal applicants, subject to discipline up to and including termination. Terms: The City is an equal opportunity employer that is committed to inclusive, barrier-free recruitment and selection processes. Consistent with our Values and Corporate Culture Pillars, the City of Hamilton is committed to providing equitable treatment to all with respect to barrier-free employment and accommodation without discrimination. The City will provide accommodation for applicants in all aspects of the hiring process, up to the point of undue hardship. If you have an accommodation need, please contact Human Resources as soon as possible to make appropriate arrangements. We invite you to visit the departmental webpage to obtain further information on the culture and business of this department. The incumbent shall comply with all Health and Safety Policies and Practices for this position and the workplace. It is the responsibility of the applicants to ensure that their application reaches Human Resources by the closing date or they may not be considered. It is also the responsibility of applicants to supply qualifications, licences and related experience relevant to the qualifications outlined above for this competition as directed. On the basis of the criteria set out above, this posting is open to all applicants The statements made by me are true, complete and correct to the best of my knowledge. I understand that any falsification of statements, misrepresentations, deliberate omission or concealment of information may be considered just cause for discipline, up to and including termination for internal applicants and disqualification for external applicants. Scarfone Hawkins LLP requires an associate to assist in our corporate-commercial, financial services and real estate law groups. The successful candidate could be a recent call to the bar or have between one (1) and four (4) years' experience and be willing to join a vibrant, rapidly growing firm with a view to becoming a partner. 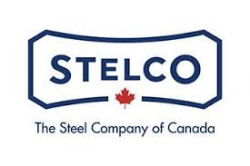 The successful candidate should have experience in all or some of the following: corporate mergers and acquisitions, corporate reorganizations, shareholder agreements, financing and commercial real estate transactions, and should be committed to working in Hamilton. Remuneration will be commensurate with experience and ability and we are open to compensation based on productivity. References are required.